The California dream-pop band plays Slowdown Jr. May 4. On the new EP Hard to Read (2016, Grand Jury/Fat Possum) Oakland band Day Wave is all Jackson Phillips, who did the Prince thing by performing and recording the album all by his lonesome. Phillips’ music falls into the same indie dream pop realm as Wild Nothing, Diiv, Black Marble, Violens, Dignan Porch, that slew of bands that have taken the Joy Division/New Order aesthetic and combined it with modern-day gloom. That said, don’t expect to see only one guy standing behind a keyboard when Day Wave plays Slowdown May 4. Phillips will have a touring band in tow to fill out the sound on stage. And it’s a good thing, too, because Day Wave has been added to a slew of festivals this summer, including Lollapalooza, Governor’s Ball and Shaky Knees. We asked Phillips to take our Ten Questions survey. A man of few words, here’s what he had to say. Day Wave: Hmmm that’s a tough one, I’ll say Brian Eno – Here Come The Warm Jets. That song that says “I’ve seen better days” over and over. My favorite part is writing and recording songs, I can do it all day long. I don’t enjoy the lack of sleep that comes with touring. I’m a big fan of almond butter. I just got back from Australia, that was pretty much one of the best places. I haven’t played any bad shows with Day Wave! I always wanted to be a photo journalist for National Geographic. I never wanted to do anything involving math. 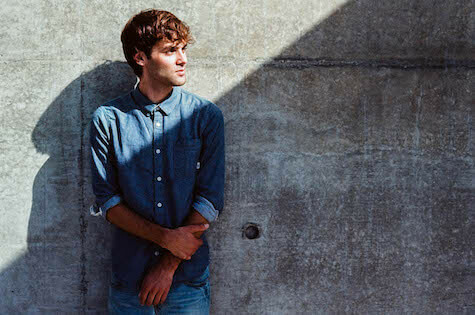 Day Wave plays with Lot Walks and Bokr Tov Wednesday, May 4, at Slowdown Jr., 729 No. 14th St. Showtime is 8 p.m. Admission is $10 Adv. / $12 DOS. For more information, go to theslowdown.com.